Fuel card integrated vehicle tracking from Kinesis is helping temperature controlled logistics specialist John Hardie Transport (JHT) take back control of its mobile operation. 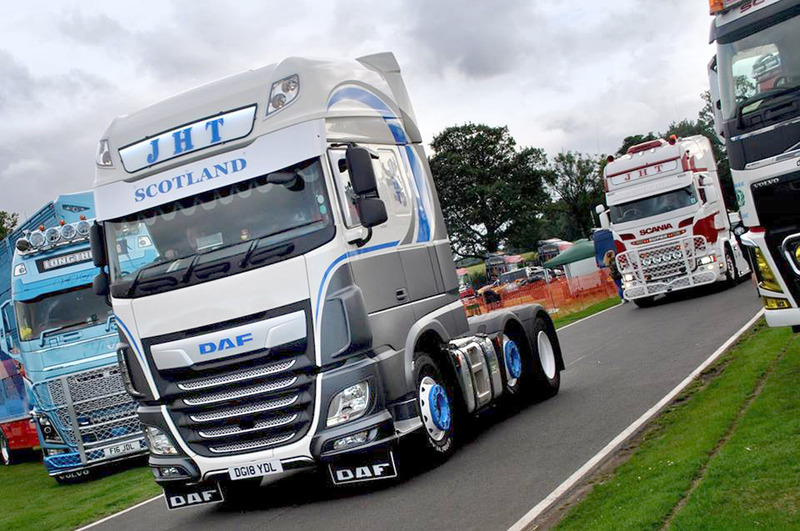 Operating a fleet of DAF XF articulated tractor trailer units from its Glasgow based headquarter, JHT provides bespoke freight services across the UK and Europe for customers such as FreshLinc, 2XL and Enterprise. Since implementing Kinesis telematics, integrated with fuels cards from UK Fuels, JHT can live monitor its fleet and access additional intelligence including driver performance data and financial transactions. JHT originally tested Kinesis on one vehicle, running the advanced telematics solution in parallel with its incumbent system. Using GPS technology Kinesis immediately gave JHT complete visibility of its entire fleet with the location of each vehicle, updated every 30 seconds, displayed against an easy to interpret map screen. Live traffic alerts and congestion report allow the JHT management team to amend the routes, in real-time, so drivers avoid issues and remain on schedule. Now being rolled out across the fleet Kinesis is helping JHT deliver driver performance improvements by accessing customisable reports, at the touch of a button, including data on speeding, harsh braking, accelerating and idling. This information can be used to monitor and improve driver behaviour for health and safety purposes and also for cost control. The integration of Kinesis with fuel cards helps JHT reduce the paperwork associated with credit card or expenses claims and improve financial security. Combining tracking information with fuel card transaction data means that in the case of a lost card the location of last use (either authorised or not) can be used to attempt recovery or gather evidence for a claim. Integrated telematics and fuel card data can also improve the management of fuel consumption with accurate MPG calculations potentially assisting in decreasing costs and environmental emissions. “Not only is Kinesis easy to access and easy to use, it is also available anytime from any device,” continued Sneddon. “The customer service is first class and our knowledgeable account manager is always on hand to answer any questions!